CHOICE OF DESIGN ON BALLOON e.g. stars, small and large, hearts, flowers, and clear. Decorated with large florists bow or balloon cuff and curly ribbon. Can be supplied with or without white Pregoda box. Delivery available for a charge. 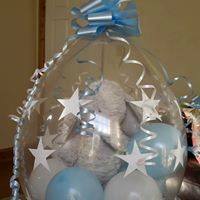 Ideal birthday, graduation, bridesmaids, page boy gifts, xmas and special occasions. 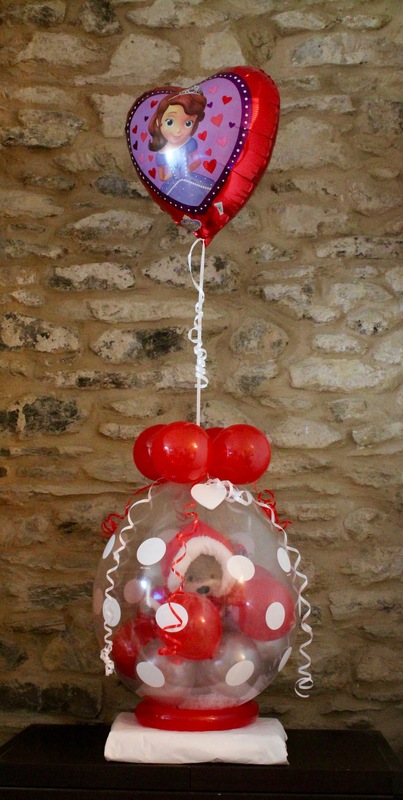 £35.00 with character foil balloon added or plain 18 inch foil with personalised message on. CAN ADD A CHARACTER 18 INCH FOIL BALLOON with its own flat weight .